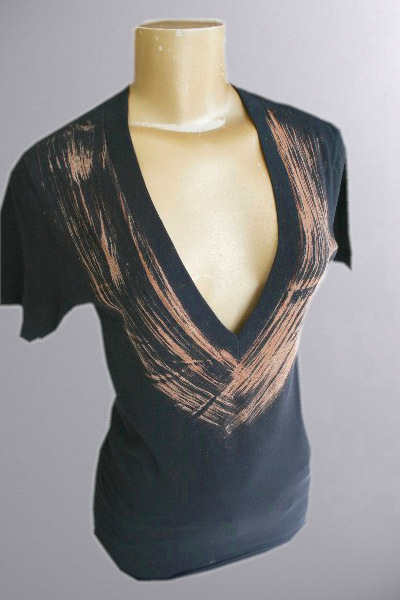 A special vintage wash fine sheer cotton Couture Tee with a vintage brush stroke color fade. This tee has a special feature, it will age and develop bohemian like tears and deconstruct beautifully after many many washes. Artistic inconsistencies make every reproduction unique and yours. No one else will have Couture Tee quite like yours.